Audi has earned itself the credit of being the most intuitive and fastest growing auto brand in the world. Audi’s success comprises of the various factors. 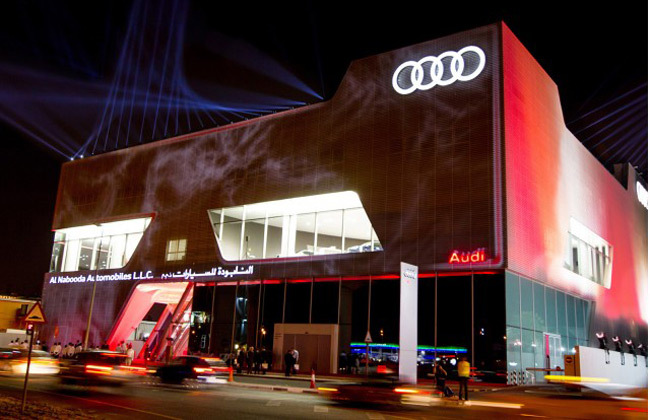 Recently Audi revealed its biggest dealership at Dubai. Building the dealership is itself a big news but most interesting was the way it was built and presented. Audi’s local dealer Al Nabooda automobiles built the dealership structure and it has been built in such way as to look and feel like an amusement park rather than a car dealership. The three story building features a base showroom space of about 8,700 sq m and will be displaying more than 57 new car models. The second floor of the building has been named as Exclusive Portfolio. It’s a place where customers could get in touch with personal consultants from Quattro GmbH, off course if they can afford it. The floor also features extensive materials and new color samples for new Audi cars. The dealership which is branded as the Audi terminal offers more excitement at the third floor. For people who are deep into Audi and have money to support their passion can move to this floor the build and design their own personally configured version of Audi. This actually supports the local tradition where people mostly want to own their own unique car. Most of this is done at the aftermarket stores, but now Audi has decided to peak into this growing market by offering more personalized and exclusive experience to the customers. Dealership also features floor to ceiling TV screen that portrays Audi’s range of cars and prayer room for Islamic people. 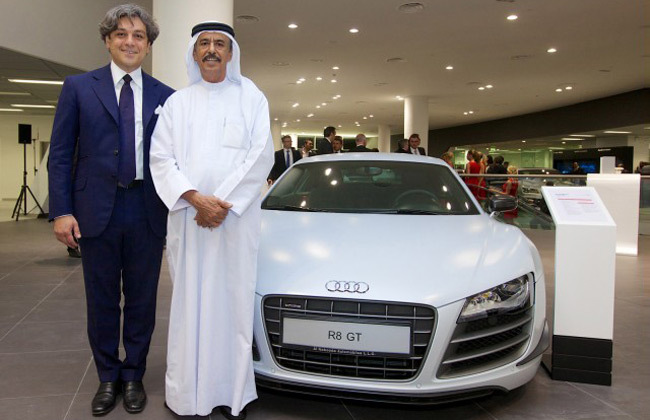 The Dealership was inaugurated by Luca de Meo, member of board of management of AUDI AG and Chief executive officer at Al Nabooda Automobiles, K. Rajaram, in the presence of Pop Singer Jennifer Lopez.